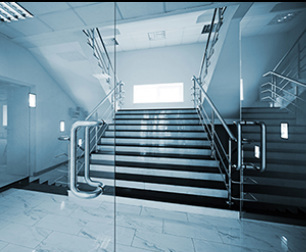 about - Atlas Glass Co., Inc.
For over 50 years, Atlas Glass has been providing glass and glazing for commercial buildings in the Bay Area. Our clients include commercial general contractors, property managers, architects and engineers. We are a fully bonded and licensed union glazing contractor by the State of California and licensed in CA. We take pride in providing quality service and products, quick installation and superior work performance. Offering contractors only competitive bids and detailed drawings, by request, we are committed to meeting industry needs and take pride in providing quality service and products. · We bring 50 years of experience and passion to every job. · We value building long-lasting relationships. · We do what we say we are going to do. · We are honest and take pride in what we do. Marc Capocci is a glazing contractor and owner of Atlas Glass Co., Inc. He has over 35 years of experience in commercial and residential glazing. The last 10 years, he has primarily focused on the hospitality industry, providing his glazing expertise to numerous hotel renovations throughout northern and southern California. Marc’s creative abilities bring a unique dynamic to Atlas Glass. He enjoys the challenge of taking a client’s custom design from the concept phase to project completion – for example when he designed bullet-resistant aluminum and glass walls for the Federal Reserve Bank in San Francisco. He also excels at creating elegant entranceways for upscale boutiques such as Tiffany’s in Union Square or Georgiou’s in the Marina. At the age of 16, Marc was introduced to the glazing industry through The Glass Shop, a small, family owned business in southern San Francisco. From there, he continued honing his skills, working for larger shops like Peninsula, Bello, Columbus and ultimately, Atlas Glass. In 1984, along with Carmen and Charlie Sutter, Marc acquired an interest in the partnership at Atlas Glass. Carmen Sutter manages the business growth and development of Atlas Glass and is responsible for the company finances, organization and infrastructure. She works very close with her team to meet the demands of running a company and providing the best customer service available. Carmen started working for Atlas Glass over thirty years ago, where she provided clerical support for the staff and over the years has built her vast knowledge of the glass industry to where she now is managing the business. Carmen has over thirty years of experience with the Glazier’s Union and the installation of glass. Marc and Carmen bring an unparalleled partnership to the glass and glazing industry. For over 25 years they have successfully worked as a team to transition thousands of projects from concept to completion. Their experience and sincere personal commitment and involvement with each project, ensures that their work shines and their relationships are built with care. In 1964, Charles Sutter Sr. and Virgil Mercurio established Atlas Glass. Today Marc and Carmen have continued to run the company based on the principles and craftsmanship initially instilled by her father. As one of the original glass and glazing contractors in the Bay Area, Atlas Glass continues to evolve and plans to remain a pillar of strength in the industry for years to come.